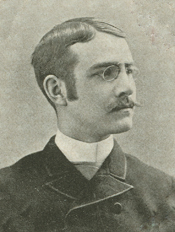 ATWOOD, Harrison Henry, a Representative from Massachusetts; born at the home of his grandmother in North Londonderry, Vt., August 26, 1863; attended the public schools of Boston, Mass. ; studied architecture and engaged in that profession in Boston, Mass. ; member of the Massachusetts house of representatives 1887-1889; city architect of Boston in 1889 and 1890; member of the Republican State committee 1887-1889; member and secretary of the Boston Republican city committee 1888-1894; delegate to the Republican National Conventions in 1888 and 1892; elected as a Republican to the Fifty-fourth Congress (March 4, 1895-March 3, 1897); unsuccessful candidate for renomination in 1896 to the Fifty-fifth Congress; resumed his former profession in Boston; again a member of the Massachusetts house of representatives in 1915, 1917, 1918, 1923, 1924, 1927, and 1928; was an unsuccessful candidate for election in 1918 to the Sixty-sixth Congress; resumed his profession as an architect in Boston, Mass. ; moved to Wellesley Hills, Mass., in April 1938; died in Boston, Mass., October 22, 1954; interment in Forest Hills Cemetery.